The Zemsky Sobor (Russian: зе́мский собо́р, IPA: [ˈzʲemskʲɪj sɐˈbor], lit. assembly of the land) was a parliament of the Tsardom of Russia's Estates of the realm active during the 16th and 17th centuries. The Zemsky Sobor represented Russia's feudal classes in three categories: Nobility and the high bureaucracy, the Holy Sobor of the Orthodox clergy, and representatives of "commoners" including merchants and townspeople. Assemblies could be summoned either by the Tsar, the Patriarch, or the Boyar Duma, to decide controversial issues or enact major pieces of legislation. Tsar Ivan the Terrible held the first Zemsky Sobor in 1549, holding several assemblies primarily as a rubber stamp but also to address initiatives taken by the lower nobility and townspeople. The Time of Troubles saw the Zemsky Sobor appoint Boris Godunov as Tsar in 1598 during the succession crisis after the end of Rurik Dynasty. Assemblies were held annually after Mikhail Romanov was elected Tsar in 1613, but lost influence as the Romanov dynasty became more established, with the assembly to ratify the Treaty of Pereyaslav in 1654 the last for thirty years. The last Zemsky Sobors were held in the 1680s to abolish the mestnichestvo system and to ratify the "Eternal Peace" with Poland. The Zemsky Sobor of Amur region (Приамурский Земский Собор) of the Provisional Priamurye Government was convened in Vladivostok on July 23, 1922 by Mikhail Diterikhs during the Russian Civil War. Diterikhs was a general of the White Army in the Russian Far East and convened the assembly four years after the execution of the Romanov family to proclaim a new monarchy, naming Grand Duke Nicholas Nikolaevich as the Tsar of Russia, with Patriarch Tikhon as the honorary chairman of the Zemsky Sobor. Neither Nikolai or Tikhon were present at the assembly, and the plan was cancelled when the region fell to the Bolsheviks two months later. S.L. Avaliani, "Литературная история земских соборов" [Literary History of the Zemsky Sabors]. Odessa: 1916. John Keep, "The Decline of the Zemsky Sobor," in Power and the People: Essays on Russian History. Boulder, CO: East European Monographs, 1995; pp. 51-72. Dmitry Mikhaylovich Pozharsky was a Russian prince known for his military leadership during the Polish–Muscovite War from 1611 to 1612. Pozharsky formed the Second Volunteer Army with Kuzma Minin in Nizhny Novgorod against the Polish–Lithuanian Commonwealth's occupation of Russia during the Time of Troubles, resulting in Polish withdrawal after Russian victory at the Battle of Moscow in 1612. 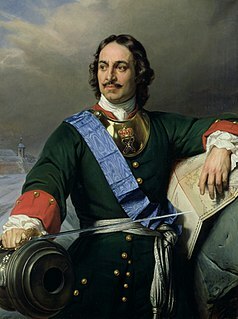 Pozharsky received the unprecedented title of Saviour of the Motherland from Mikhail I of Russia, becoming a folk hero in Russian culture and honored in the Monument to Minin and Pozharsky in Moscow's Red Square. Ivan Susanin was a Russian national hero and martyr of the early 17th century's Time of Troubles. The Ipatiev Monastery —sometimes translated into English as Hypatian Monastery—is a male monastery, situated on the bank of the Kostroma River just opposite the city of Kostroma. It was founded around 1330 by a Tatar convert, Prince Chet, whose male-line descendants include Solomonia Saburova and Boris Godunov and dedicated to St. Hypatios of Gangra. The Sobornoye Ulozheniye was a legal code promulgated in 1649 by the Zemsky Sobor under Alexis of Russia as a replacement for the Sudebnik of 1550 introduced by Ivan IV of Russia. The code survived well into the 19th century, when its articles were revised under the direction of Mikhail Speransky. The Monarchy of Russia was abolished in 1917 following the February Revolution, which forced Emperor Nicholas II (1868–1918) to abdicate. Claims made on behalf of different persons to be the rightful current pretender continue to be debated. The Tsardom of Russia, or the Tsardom of Muscovy, was the centralized Russian state from the assumption of the title of Tsar by Ivan IV in 1547 until the foundation of the Russian Empire by Peter the Great in 1721. Mikhail Konstantinovich Diterikhs was a general in the Imperial Russian Army and subsequently a key figure in the White movement in Siberia during the Russian Civil War, noted in particular for his monarchist and anti-Semitic views. The Provisional Priamurye Government existed in the Far East Russian region of Priamurye, Russia, between May 27, 1921 and October 25, 1922. It was the last White Army enclave during the Russian Civil War. The Church Reform of Peter I introduced what some believe was a period of Caesaropapism in the history of the Russian Orthodox Church, when the church apparatus effectively became a department of state. Michael I became the first Russian Tsar of the House of Romanov after the zemskiy sobor of 1613 elected him to rule the Tsardom of Russia. He was the son of Feodor Nikitich Romanov and of Xenia. He was also a 1st cousin one generation removed of Feodor I through his great-aunt Anastasia Romanovna thus making him a great-nephew of hers. And through marriage, a great-nephew in-law with Tsar Ivan IV of Russia. His accession marked the end of the Time of Troubles. During his reign, Russia conquered most of Siberia, largely with the help of the Cossacks and the Stroganov family. Russia had extended to the Pacific Ocean by the end of Michael's reign. The Romanov Tercentenary was a country-wide celebration, marked in the Russian Empire from February 1913, in celebration of the ruling Romanov Dynasty. After a grand display of wealth and power in St. Petersburg, and a week of receptions at the Winter Palace, the Imperial family embarked on a tour following Mikhail I Romanov's route after he was elected tsar in 1613, a sort of pilgrimage to the towns of ancient Muscovy associated with the Romanov dynasty, in May.